With three older sisters, my poor brothers were tormented with beauty sessions at least once a year when they were little. We’d tie their bowl cuts into pig tails, glamorize their faces with blush and lipstick, and layer them in our finest princess dresses! (Don’t worry, they turned out completely normal)! Your brand is inspirational and expressive, so light and bright colors will allow your personality to really shine! Spring colors work well with your brand to keep it lively and flowing. Be careful not to go too bright, though, or you may not come across as the professional that you are. The light & bright colors sometimes draw a younger crowd, so be sure that aligns with your target audience. To avoid being seen as too youthful or cheap, make sure your bright shades are toned down just a little to take the edge off and give your brand sophistication. Your brand is intuitive and elegant, so muted tones will reflect your professionalism. Less saturated pastels and cool tones will represent your brand with grace and sophistication. Be careful that your colors aren't too monotone, or you may be perceived as dull. To avoid looking unenthusiastic about your work, make sure you have some variation of light and dark tones. Your brand is authentic and ambitious, which is complemented by warm and intense colors. Earthy and organic tones in deep shades will represent your brand well. Be careful to not come across as too dark and serious or you may not be perceived as welcoming. Make sure you have at least one lighter tone to complement the dark tones in your palette. Your brand is passionate and driven, so a strong color palette will do you justice. Intense colors like ice blue, neons or metallics, combined with black, will make your business rightfully stand out. Be careful not to come across as too strong or you may be perceived as cold and unapproachable. To avoid looking insensitive, make sure to add at least one soft color to your palette to bring down the intensity level. Are you a combination of personality types? 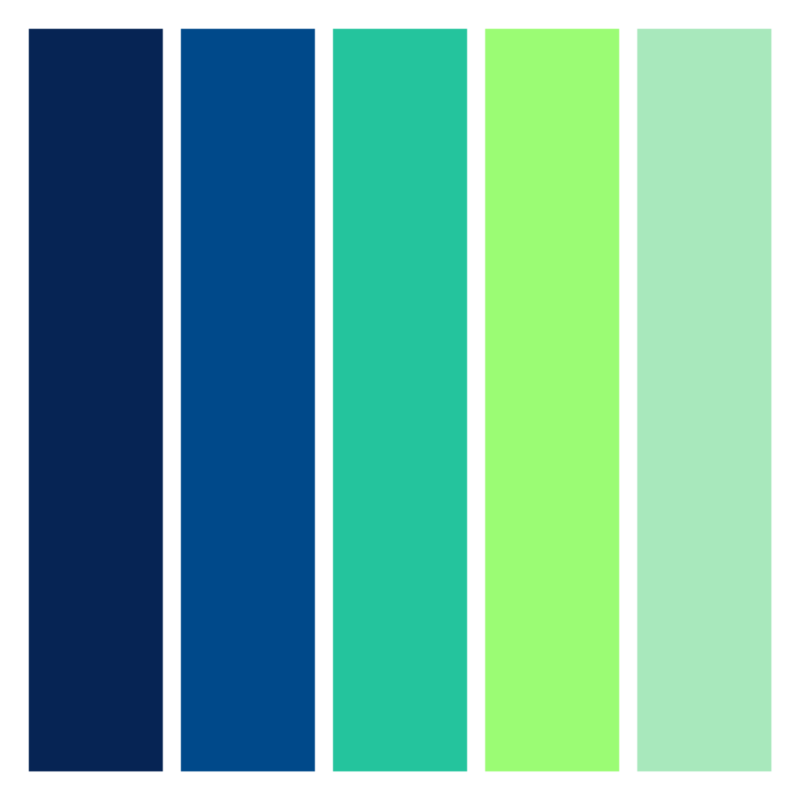 Here are some combo palettes for you.